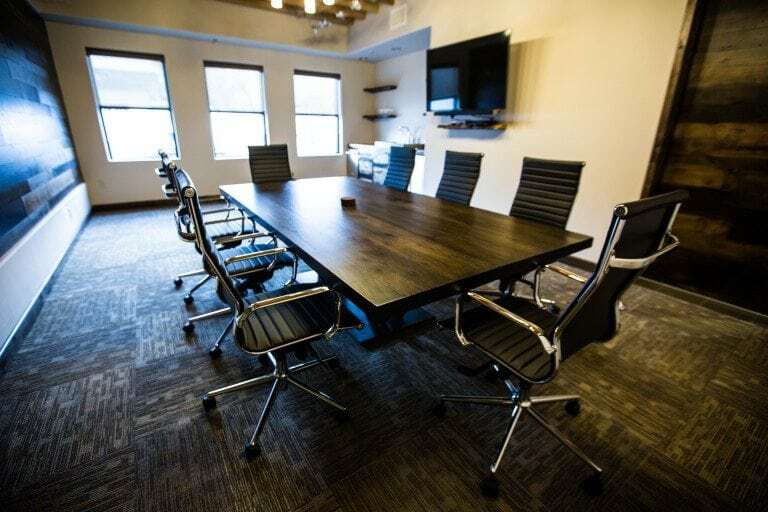 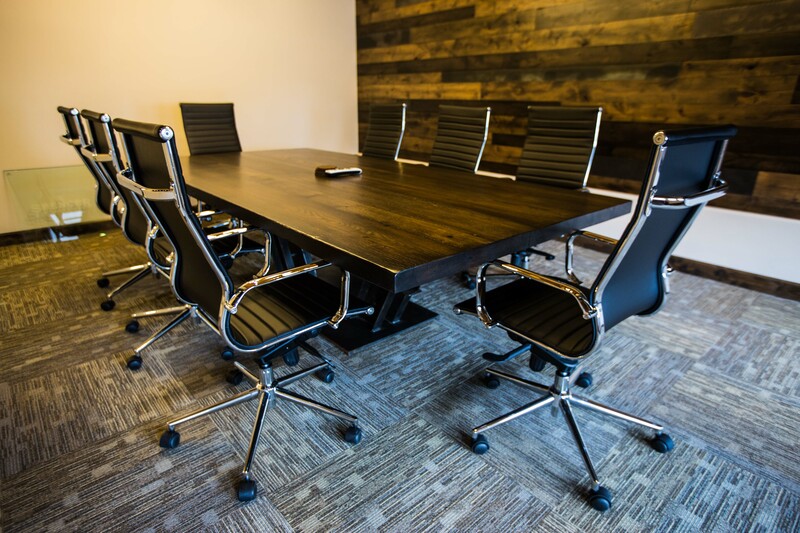 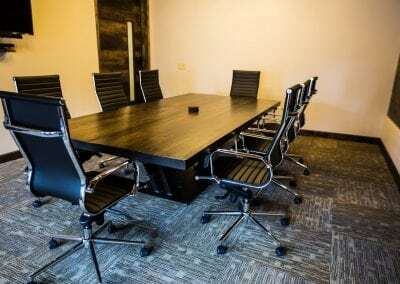 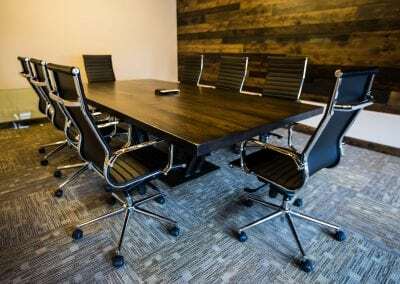 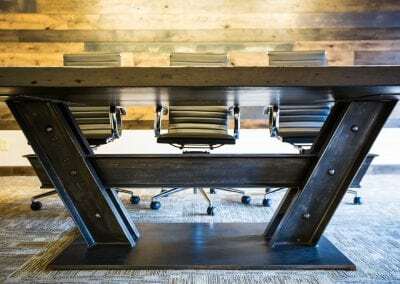 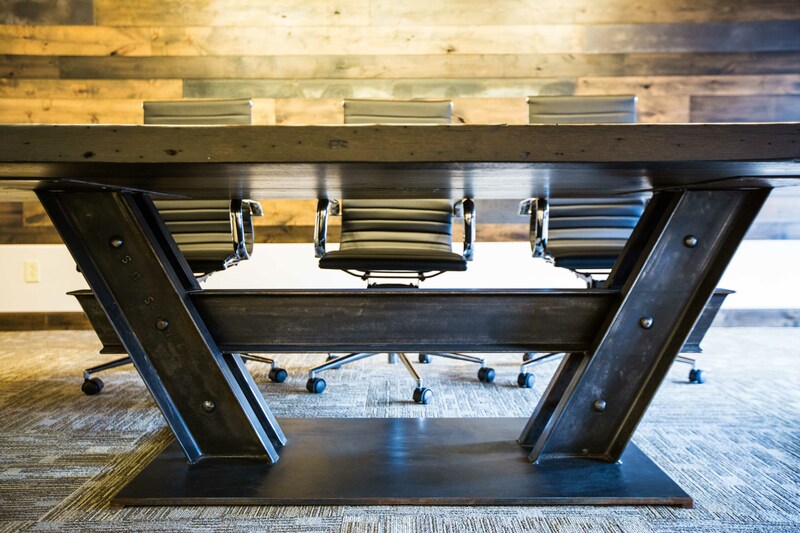 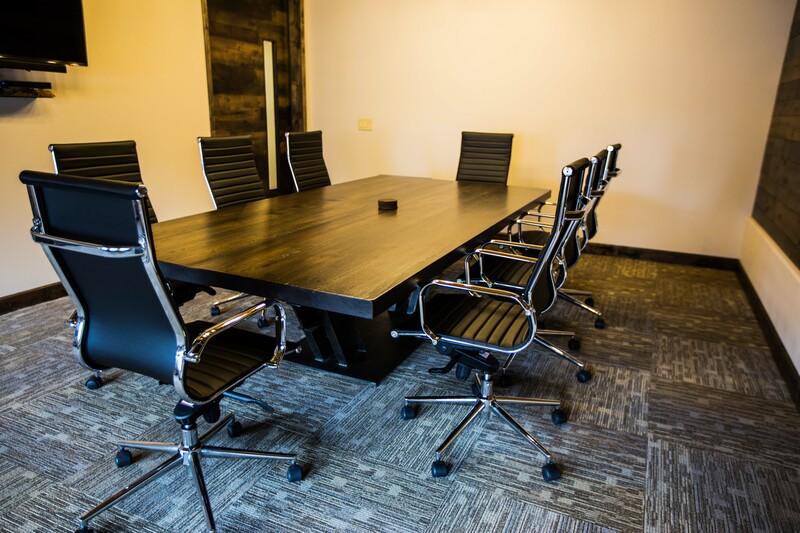 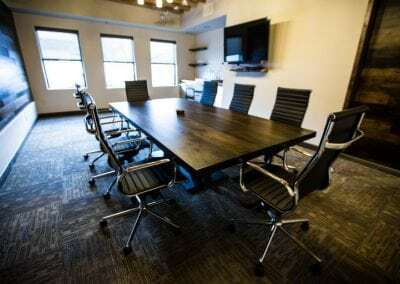 A conference table makes a big statement and when you have an office as nice as Spencer Companies’, it’s a must. 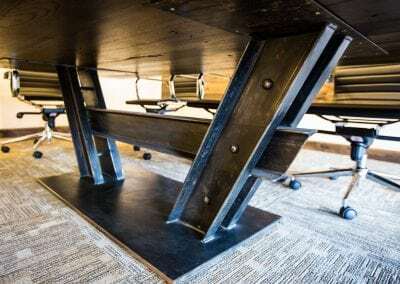 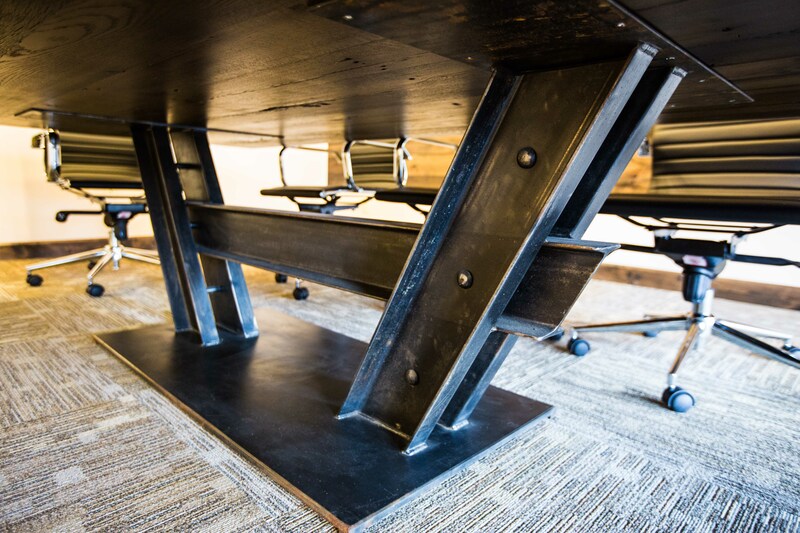 This reclaimed oak top and steel I-Beam/Channel base offers seating around the entire table with nothing to get in the way. 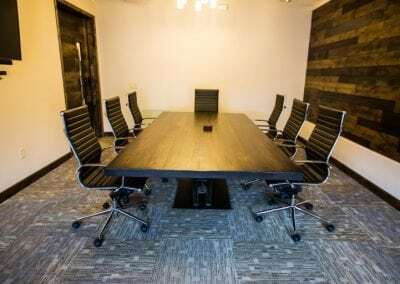 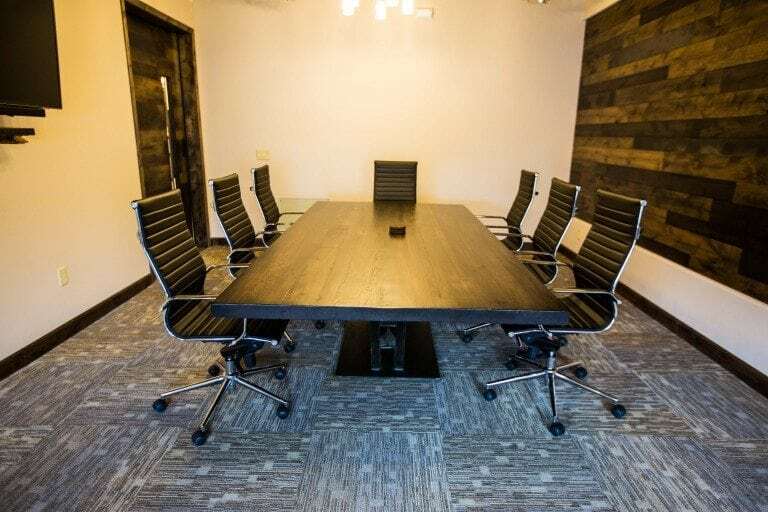 It has an antiqued black finish on the base and the top is lacquered with a corresponding wood tone to the rest of the woods we put in the office space. 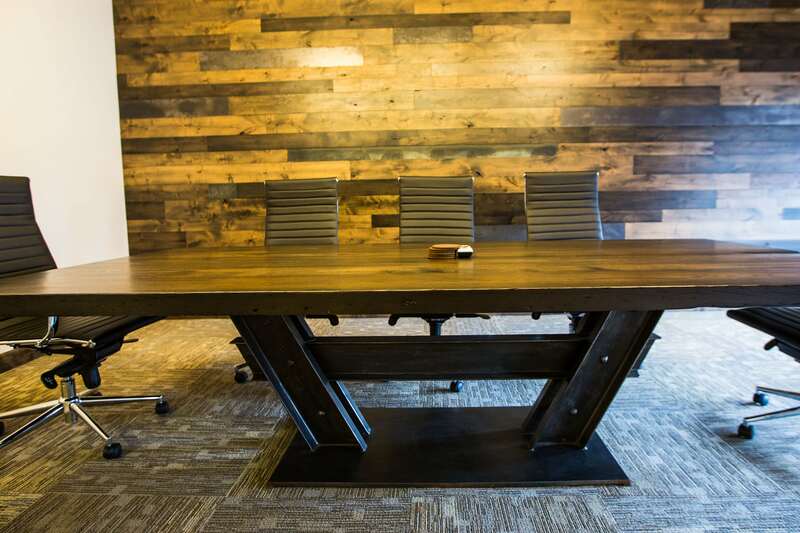 The wood comes from Pennsylvania barns dating back hundreds of years ago. 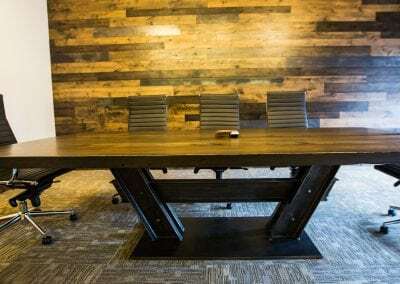 We used resawn beams in the manufacture of this top which gave us a clean and subtle reclaimed look but the tight grain and figure that you typically only find in old growth lumber.